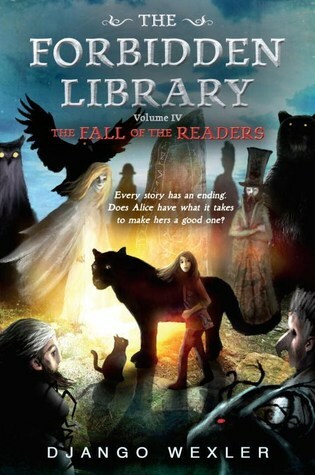 In this thrilling conclusion to Alice’s adventures in The Forbidden Library she must lead her band of friends, magical beings, and creatures against the collected might of the Old Readers—perfect for fans of Story Thieves, Inkheart, Coraline, and Harry Potter. When Alice defeated her uncle Geryon and declared war on the totalitarian ways of the Old Readers, she knew she would have a hard fight ahead. What she didn’t anticipate was the ruthlessness of the Old Reader—who can control magic and enter worlds through books. All the creatures she promised to liberate and protect are being threatened, and slowly all of Alice’s defenses are being worn away. So when Ending (the giant cat-like creature who guards the magical labyrinth in Geryon’s library) hints at a dangerous final solution, Alice jumps at the chance, no matter the cost to her life. She and her friends—a fire sprite, Ashes the cat, and the other apprentice Readers she met during her previous adventures—go on a quest to free the one creature possibly strong enough to overturn the Old Readers once and for all. But before it’s all over, Alice will be betrayed, her true identity will be revealed, and she’ll have to be willing to give up the person she loves the most. This is beautifully written, classic, bold historical fantasy—brave, bloody, action-packed and adventurous—with a girl at the center.